At Absolute Rubbish we don't just remove unwanted junk from comfy office environments! Our dedicated team also regularly battles the elements to clear outdoor sites of unsightly rubbish across Swindon and a 20 mile radius! Our full site clearance service covers a wide variety of waste, and we'll even perform light demolition work in some cases. Please enquire for further details. - We load and we take away! - You don't have to lift a finger! 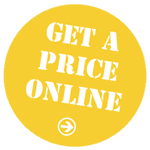 If we can load our van quickly then we'll give you 5% OFF our prices. That means if your bits and bobs are neatly stacked at the entrance where we can access it easily and get it loaded, we're both winners! If it's not and we have to scale three flights of stairs to get it, then not! And in circumstances where our team take longer than the allotted time (an hour for half-a-load, 2 hours for a full load). 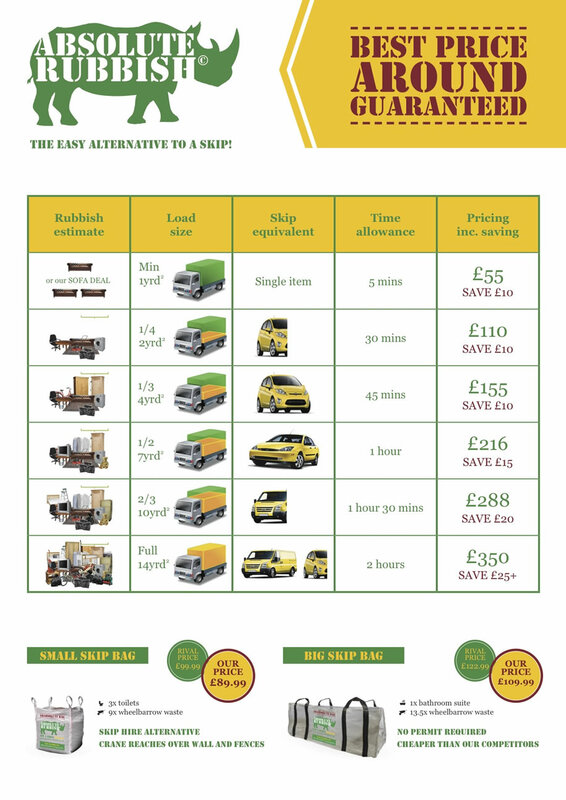 We're environmentally-friendly at Absolute Rubbish and we give a discount for clearances we can easily recycle or re-use (please see our recycling page). If your load isn't a heavy one (e.g.) paper, cardboard, green waste & wood we will give you a 5% discount on it - and maybe larger if the entire load is recyclable. We're restricted to how much waste like bricks, soil and rubble we can remove on one van because of the legal weight limits we can carry. If the waste is 'clean' (ie) all one type like bricks, then all the better. If it's classed as 'dirty' - a mix of types like wood, plastic and metal - then our rates reflect the extra cost of disposing of it. To help keep costs down we recommend separating out the waste you have, especially the heavy stuff!